The EASI PAINT kit is a complete painting kit which allows quick and neat painting of all internal and external surfaces. It features three different size brushes and two paint loader trays. The large brush is ideal for walls and ceilings and can be used in any direction for quick drip free painting. It comes with extension clip so it can be attached to any broom handle to make ease of painting of ceilings and floors. This allows a far more comfortable painting position, reduces stress on you neck, back and arms. It is also ideal for external surfaces, such as concrete block, rough sawn timber and is excellent on rusticated weather- boards. The paint loader trays allow you to load the brush with the correct amount of paint to avoid drips and splatter. The medium size brush, due to its smaller surface area, has less drag and is ideal for enamel paint and lacquers. It is ideal for kitchen cupboards, trim and external frames. The small window brush allows you to to cut neatly into window frames without masking. It is also ideal for tight corners and fiddly areas. The Easi Paint Kit allows completion of all painting projects quickly and neatly while using less paint. 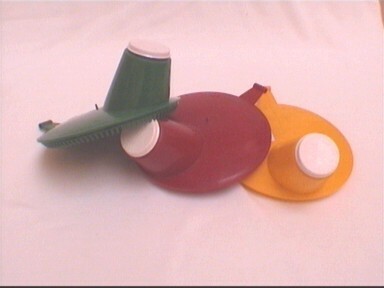 Easi-pour paint lids fit all four litre paint tins with an airtight seal. Paint can be kept in the tin until finished and can be poured from the paint tin to the container with no mess by simply removing the white cap and recap for an air tight seal. Stop all those nasty spills! Have a pack of spare brushes at the ready. For getting into those tight corners! 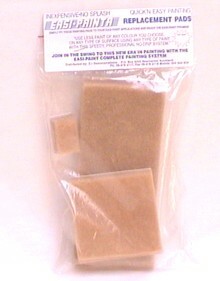 Replacement Pads for the Corner Brush.